Talk is Jericho Recap w/ Mustafa Ali - Jumping to the Main Roster, Working as a Police Officer, Development of his Finishing Move, More! 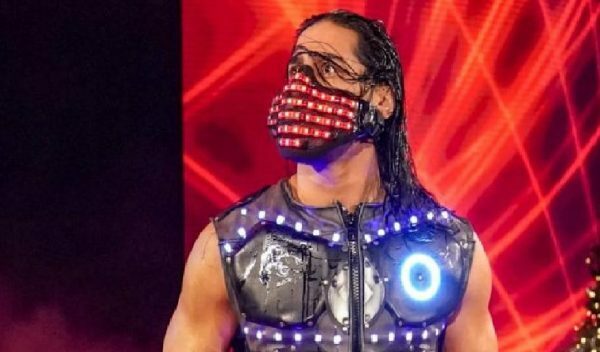 Talk is Jericho Recap w/ Mustafa Ali – Jumping to the Main Roster, Working as a Police Officer, Development of his Finishing Move, More! Jericho welcomes Mustafa Ali to the show. Jericho points out that Ali has basically skyrocketed to the main event scene of Smackdown Live, seemingly out of nowhere. Ali says he has no idea how that happened, but on his second or third week on the main roster he was in the main event, wrestling the WWE Champion, Daniel Bryan. Ali informs that he showed up at television tapings one week and he was told that he wasn’t needed for 205Live that night. He was initially told that he’d have a couple weeks off, but then things changed quickly and he was told he’d be working Smackdown as a one-time deal. Then he was told that he’d be working with Daniel Bryan, and he was in disbelief. Things went well that night, and when he showed up to Smackdown Live the next week, “Road Dogg” Brian James told him he was being removed from 205Live and was now a full-time member of the Smackdown Live roster. He was told that he would be tagging with A.J. Styles in the main event that night, and he was going to pick up the win over Bryan. Ali thinks Daniel Bryan played a big part in getting him this opportunity on the main roster, because performers don’t typically get picked off 205Live one week and thrown into the main event on a main roster show the next week.